.224 Bullets, usually used in the 223 Remington and 5.56 NATO calibers. 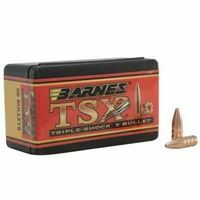 50 pk 223 Caliber 055 PT Barnes Bullets. Free Shipping. 100 pk 223 Caliber 069 HP Sierra Bullets. Free Shipping. 100 pk 223 Caliber 077 HP Sierra Bullets. Free Shipping.